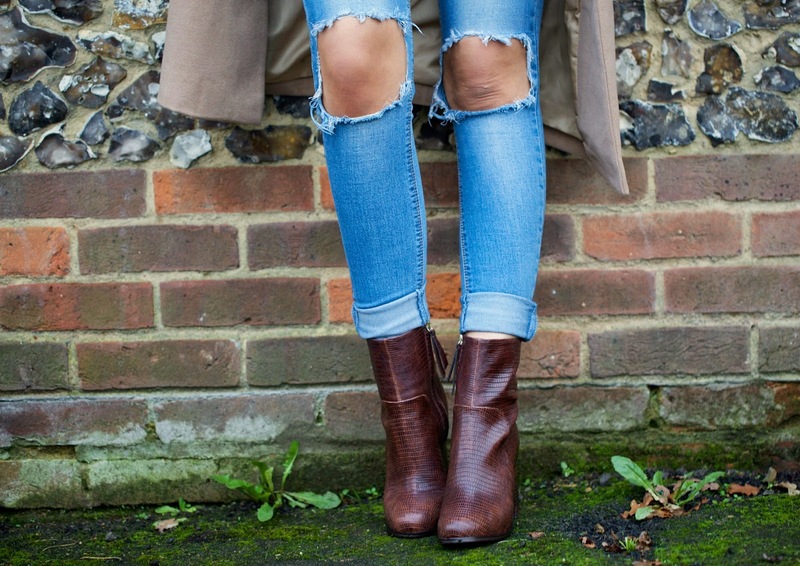 I am pretty sure that I am going to be living in ripped jeans and camel coats for the whole of winter. Not only do they make me feel very 'Kimmy K' but the combo is just so effortlessly stylish. For a more causal look I teamed them both with a cream cable knit jumper and my fave H&M boots.